The English garden is one of the famous gardens of europa. 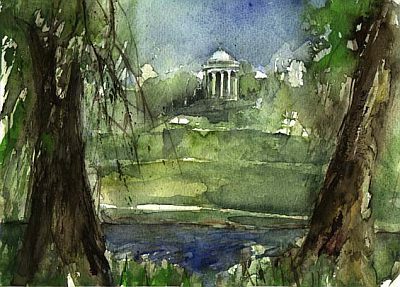 In the following watercolor painting is the Monopteros. From ther you have a wonderful sightseen to munic town.